Simple practices to reconnect yourself to the grounded foundation of your life. With more than eight million books in print, Iyanla Vanzant, award-winning author of five New York Times bestsellers, including One Day My Soul Just Opened Up, now presents her first-ever audio meditation series. 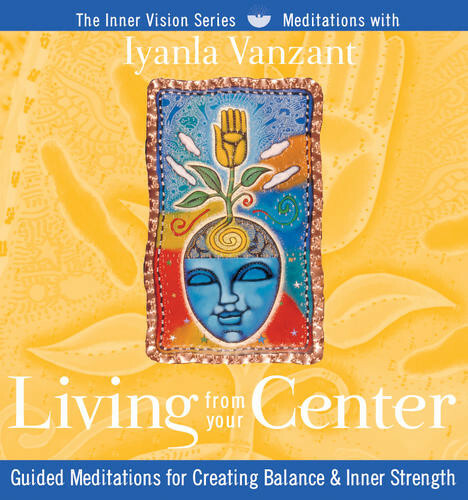 The Inner Vision Series: Meditations with Iyanla Vanzant consists of four individual guided practice CDs, beginning with Living from Your Center, a tool for finding balance and inner strength. At every given moment, we are each in the process of being and becoming, she teaches. Life is a process of growing, outgrowing, and growing some more. Now with Living from Your Center, for the first time, Iyanla Vanzant's millions of readers can experience her favorite meditations for spiritual growth in this celebrated author's own voice.